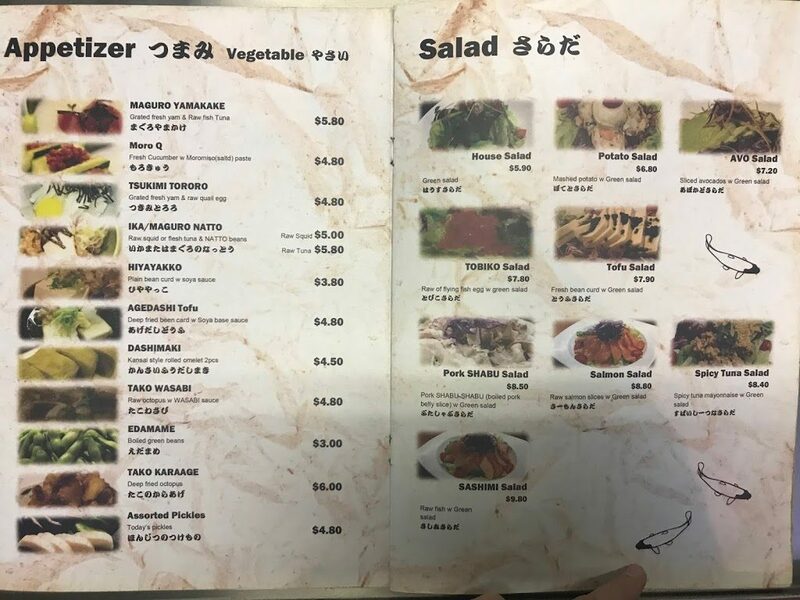 I was supposed to meet-up with a girlfriend and we were discussing where to have our dinner when she proposed that we try out MIZ Japanese Restaurant. 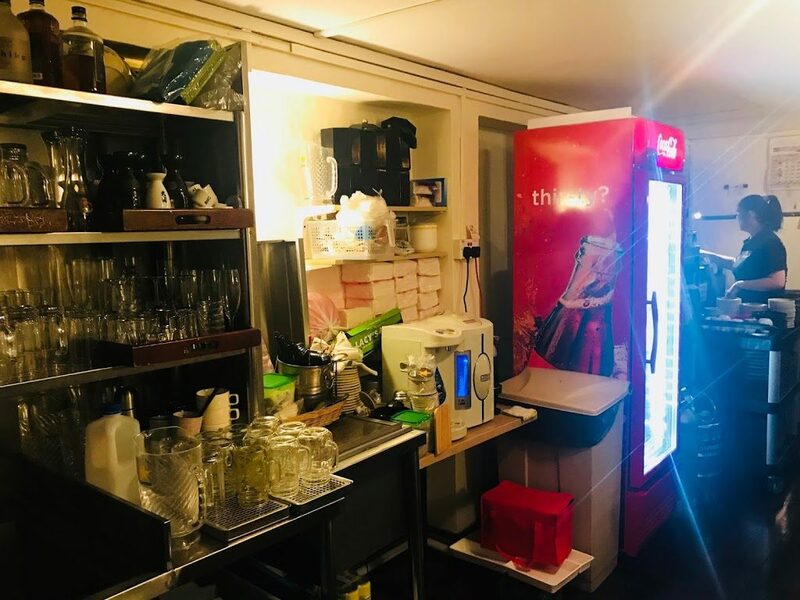 She said that she passed by it one day and it looked interesting so she looked it up online and read many rave reviews about the place. 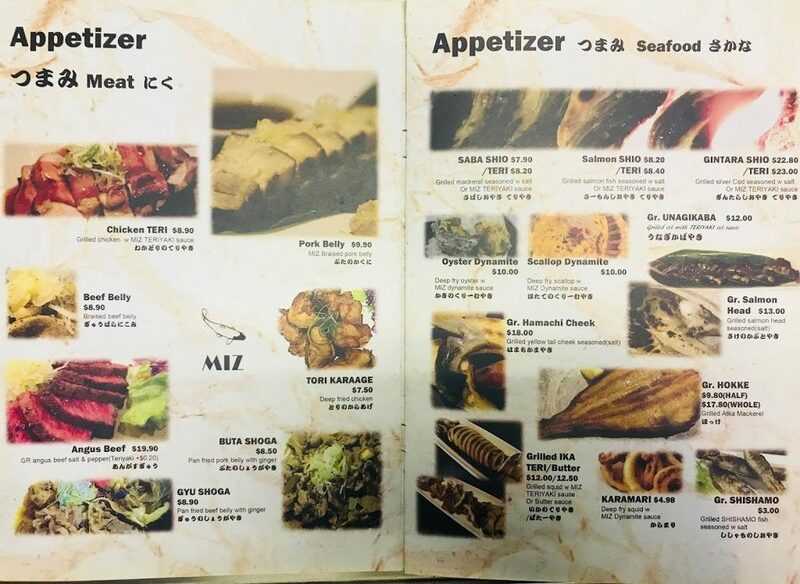 MIZ Japanese Restaurant has been around for some time already but it remains a hidden gem, probably due to its hidden location in Kampong Bahru. 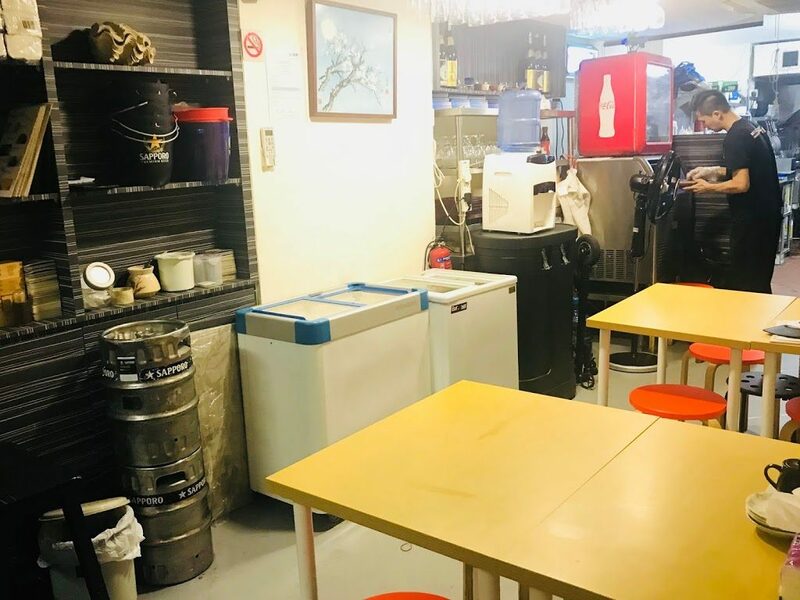 The ground floor of the restaurant is where the food are prepared. The main dining area is on the second floor. 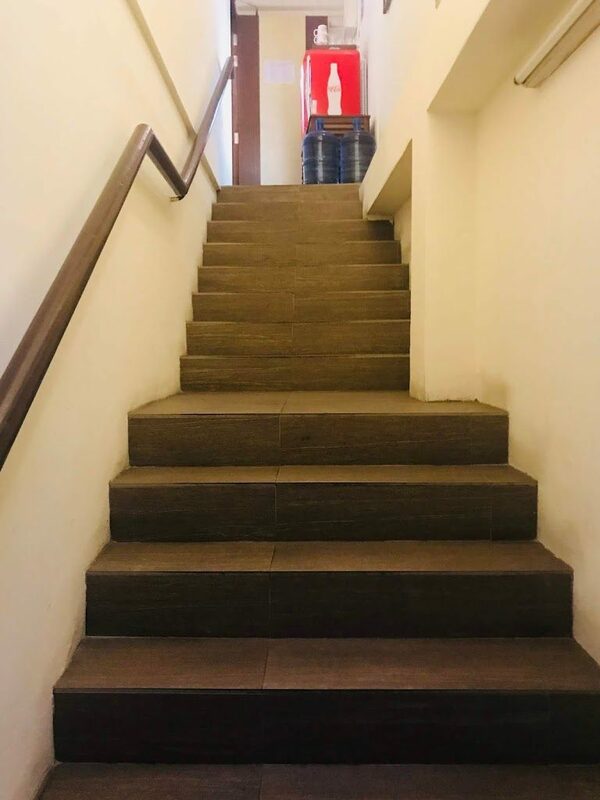 The food are sent up to the second floor through this “food elevator”, making sure that your food arrives at your table piping hot. 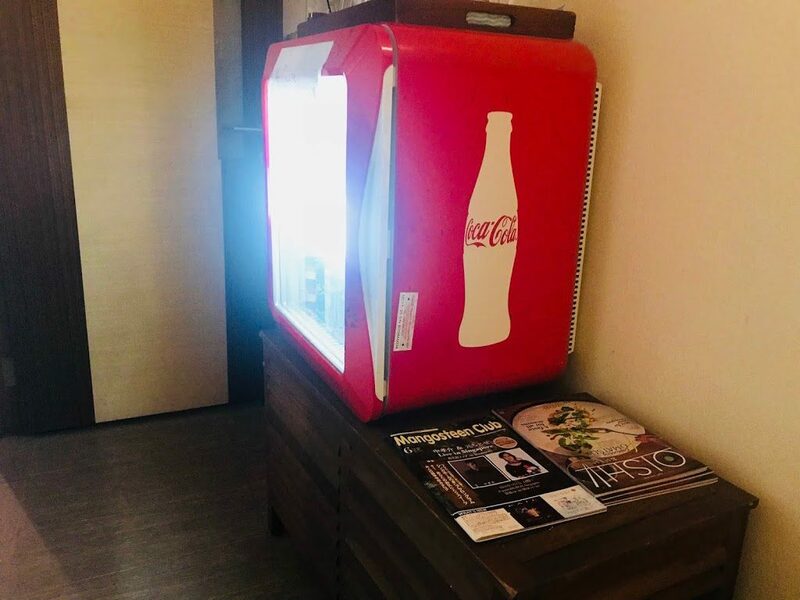 Office workers who work in the area have been taking advantage of the affordable lunch promotion for years. 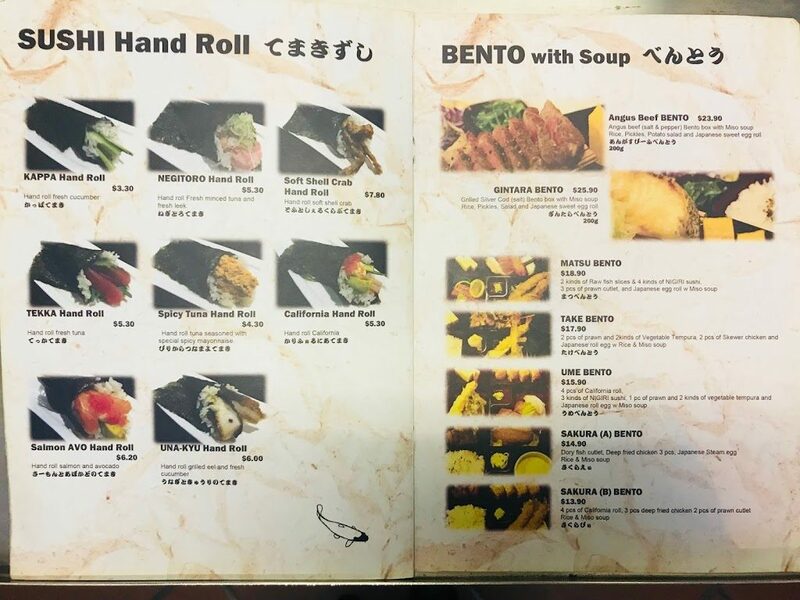 There are only a couple of tables so reservations are highly recommended for both lunch and dinner. 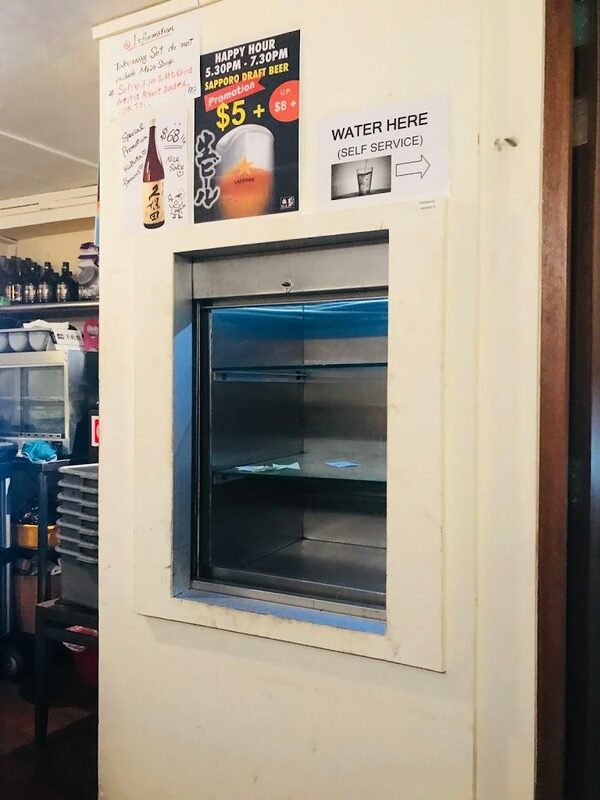 There is a water dispenser at the top of the stairs, at the entrance of the dining area, you can help yourself to the water. 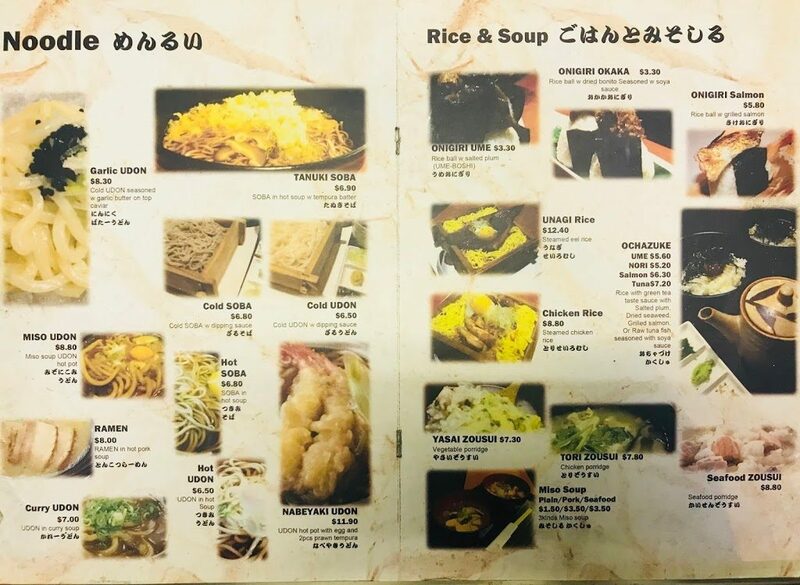 From noodles and bento to chirashi and sushi hand rolls, there is something for everyone in this 14-page menu. 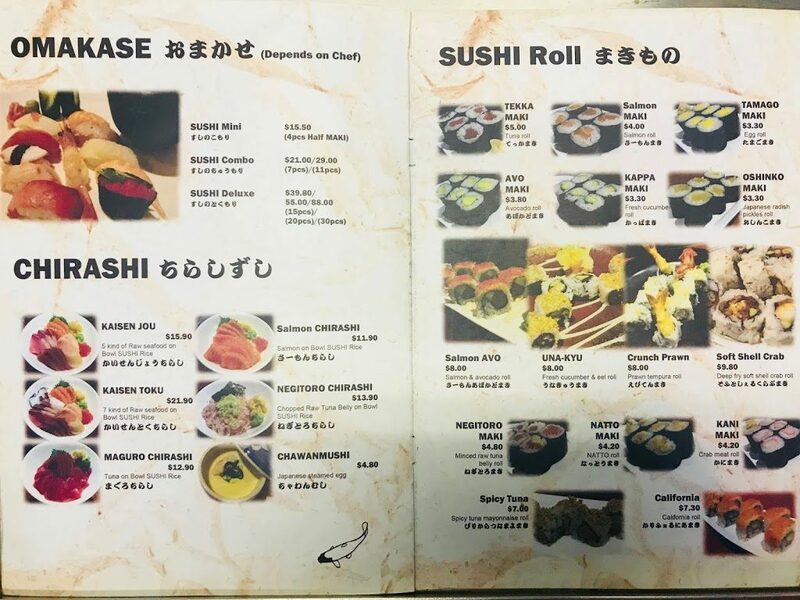 Besides the well-curated ala carte menu that showcases more than 50 dishes, look out for special promotions written by hand on the walls. 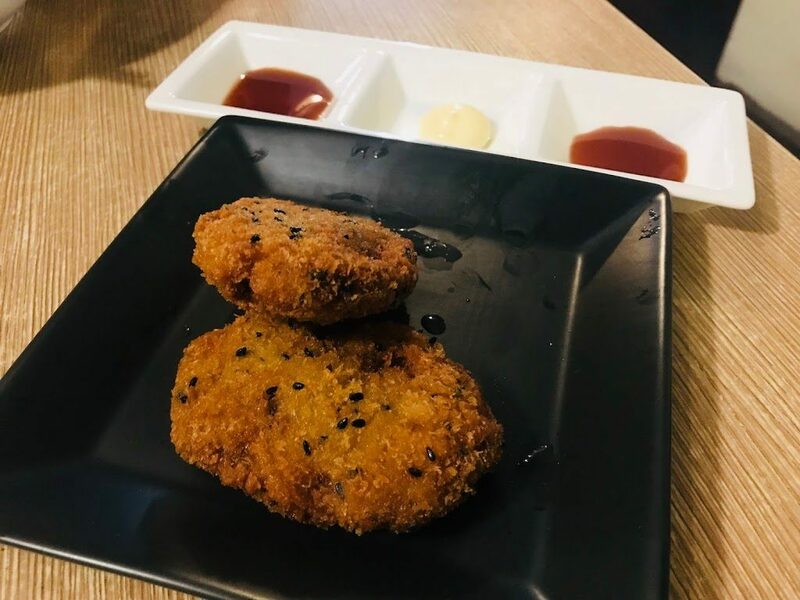 Mackerel Minced Cutlet (2 pieces) [$3] is one of the special promotion items that was recommended to us. 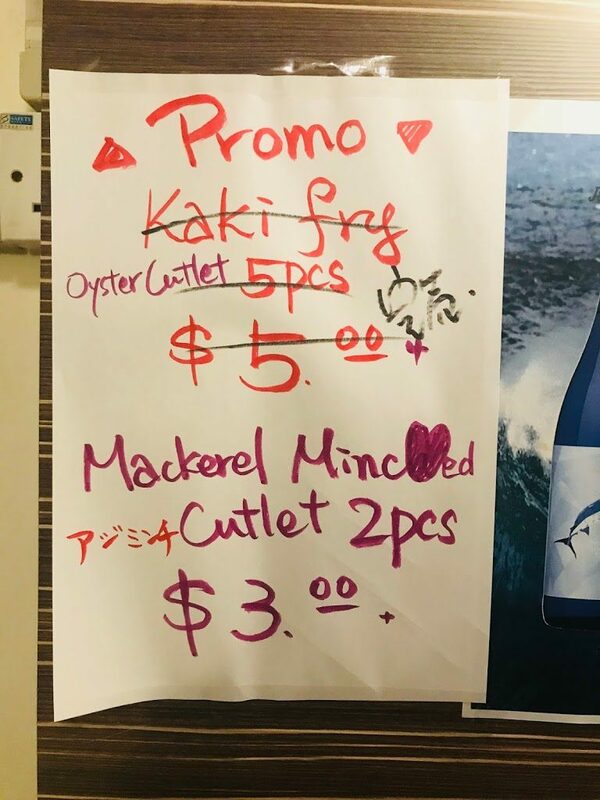 The minced mackerel does not have any fishy taste and the outside is perfectly fried till crispy and golden. This is perfect as a starter and it probably works well as a snack to go with a glass of beer. 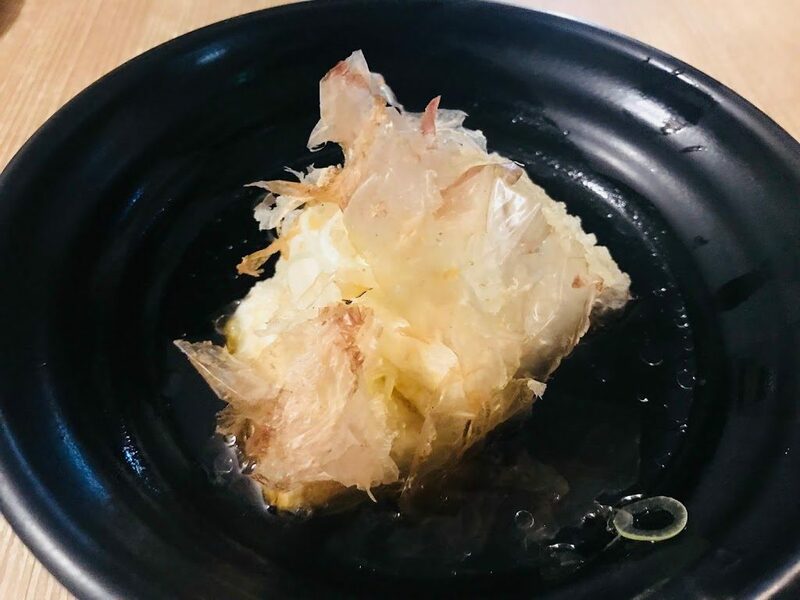 Agedashi Tofu [$4] is a popular Japanese appetiser where silky tofu are cut into cubes, lightly dusted with potato starch or corn starch and deep-fried till golden-brown and served with light soy sauce and bonito flakes. 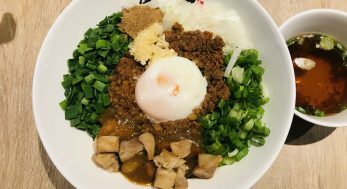 It’s very hot, do be careful when eating it. The silky tofu inside and the slightly chewy exterior creates an interesting contrast. 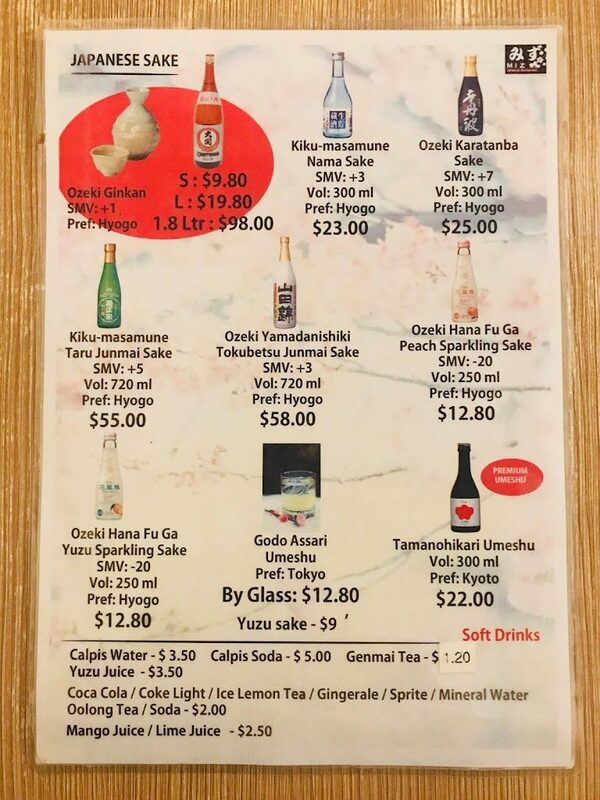 If you have no idea what to order for appetiser, you can’t go wrong with this Mentaiko Mushroom [$11.30]. 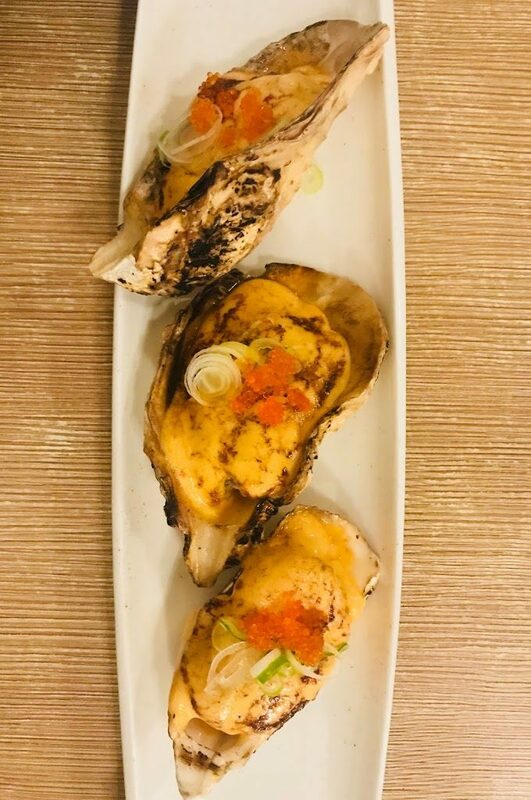 Huge portobello mushrooms are stuffed with creamy mentaiko (cod roe) mayonnaise sauce and baked. 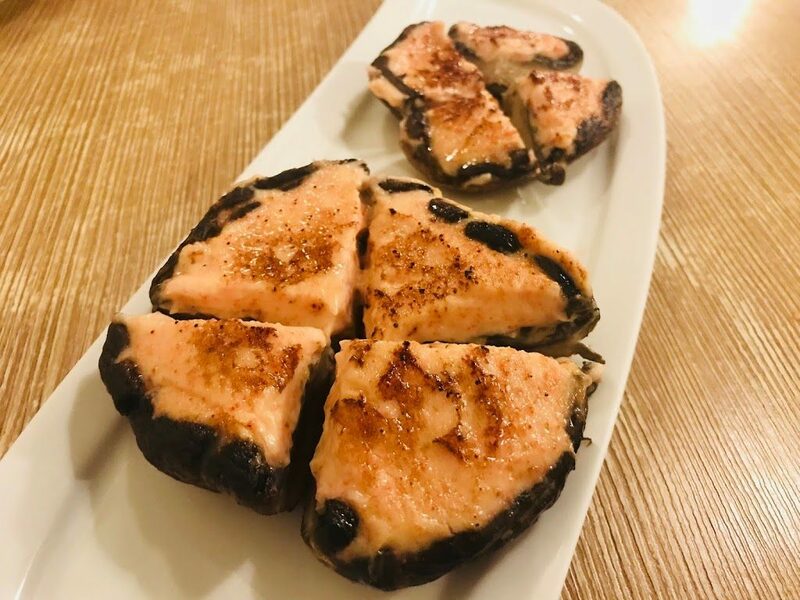 The saltiness and creaminess of the mentaiko mayonnaise sauce makes up for portobello mushroom’s lack of flavour. 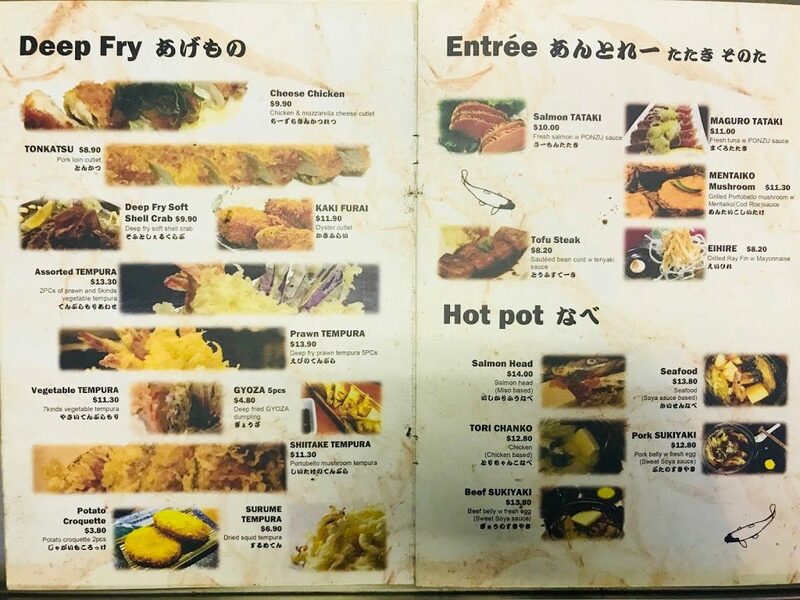 As you bite into the mushroom, the juice from the mushroom and salty-creamy mentaiko sauce bursts in your mouth, creating a culinary orchestra. 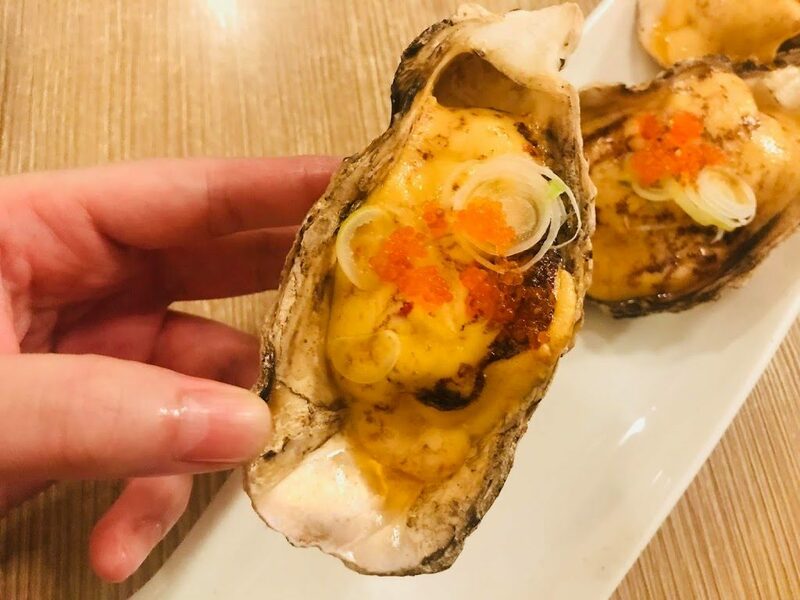 Oyster lovers and non-oyster lovers alike will enjoy the Oyster Dynamite [$10] because the oysters are coated with a special MIZ dynamite sauce before being deep-fried. I have no idea what is this special sauce but the tanginess covers up any trace of fishiness. 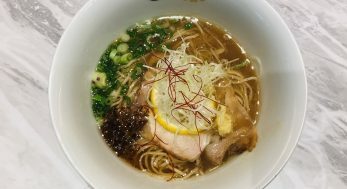 Garlic Udon [$8.30] sounds and looks plain but don’t be deceived by its simple appearance. 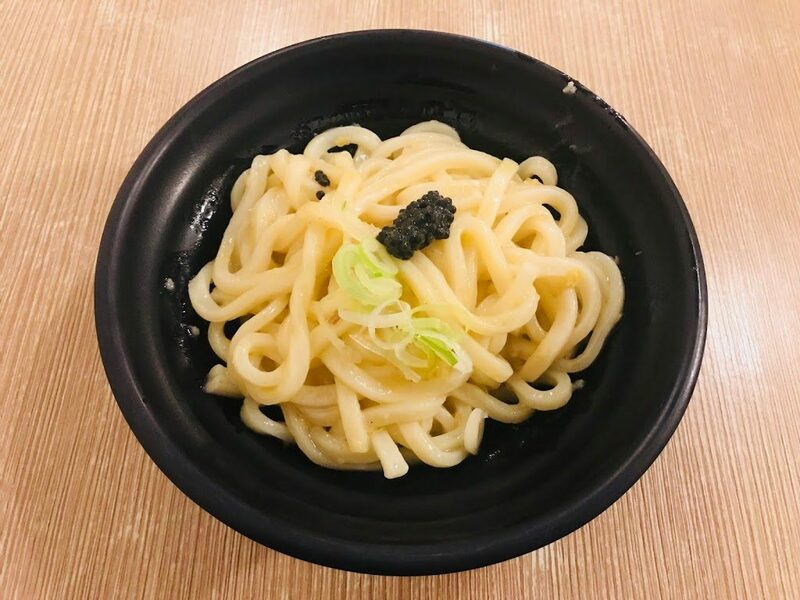 The chewy udon is seasoned with fragrant garlic butter and topped with caviar. 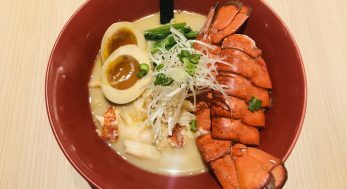 The rich garlic butter coats the udon evenly and the udon itself is wonderfully chewy. 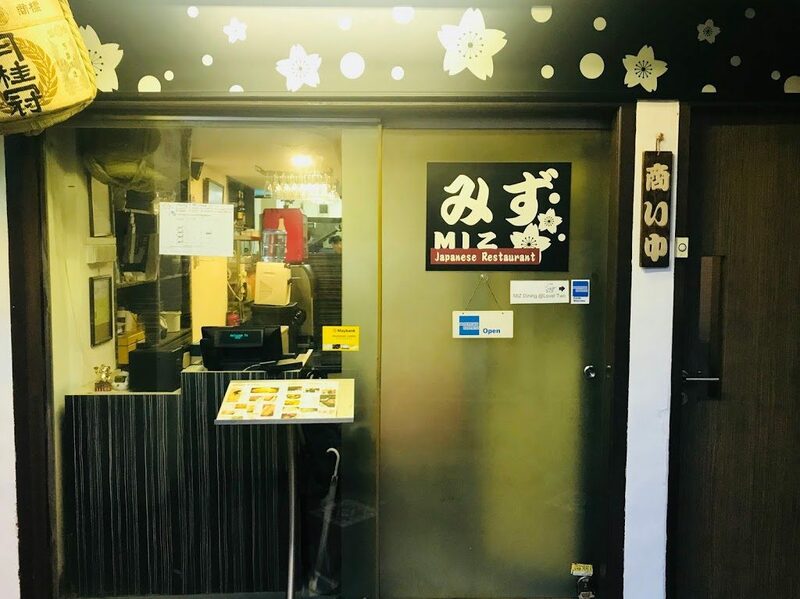 MIZ Japanese Restaurant is apparently rather famous for its chirashi and for good reason. 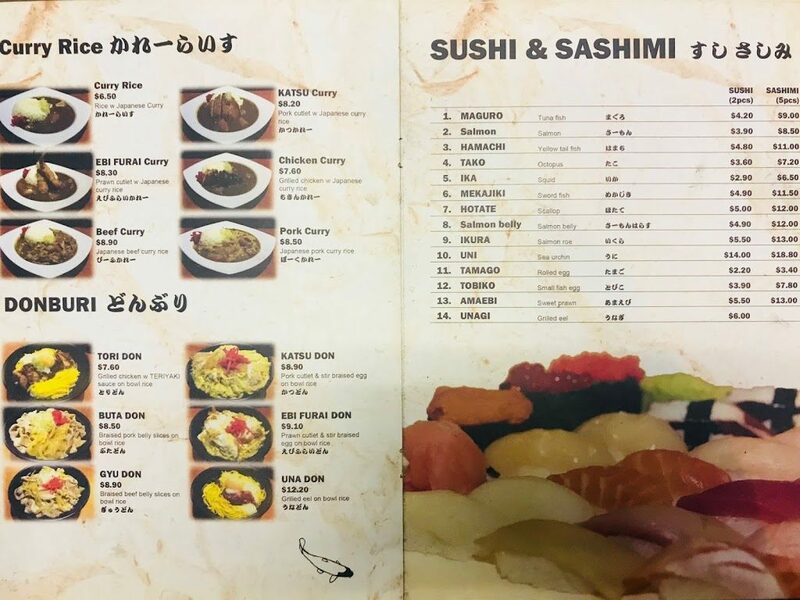 Chirashi with 5 types of seafood is called Kaisen Jou [$15.90] while the more luxurious version with 7 types of seafood is called Kaisen Toku [$21.90]. 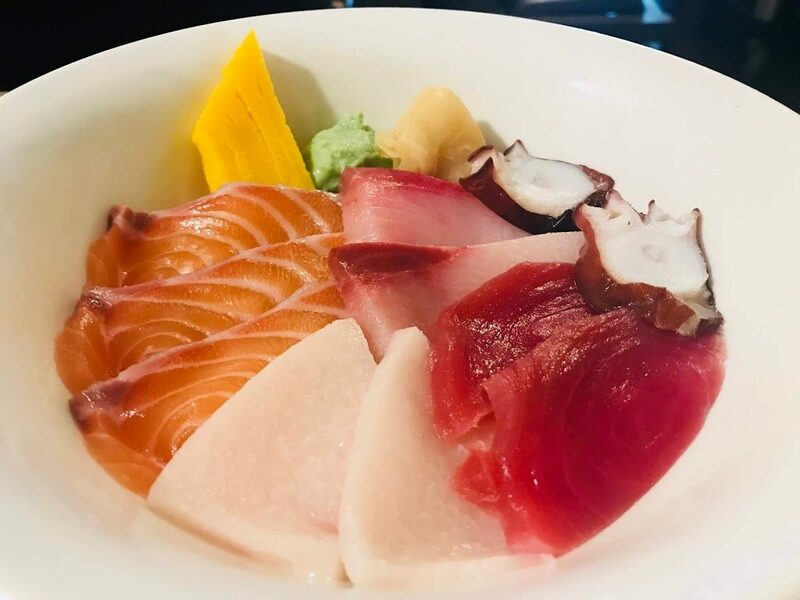 The sake (salmon), maguro (tuna), ahi (yellowfin), hamachi/kanapachi (yellowtail) and tako (octopus) that are served on top of the bed of sushi rice are super fresh. The additional 2 types of seafood in the 7 seafood chirashi bowl are hotate (scallop) and ika (squid). 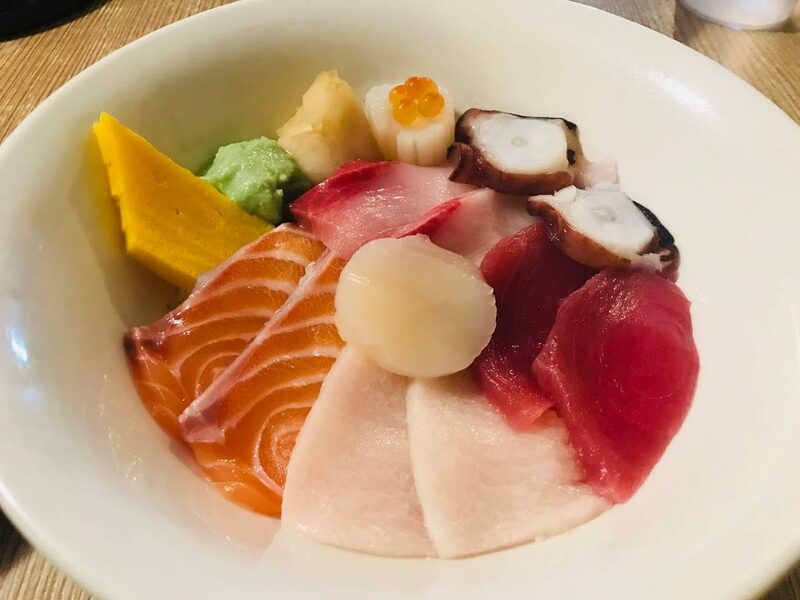 The chirashi are served with pickled ginger, wasabi and tamago, but they are perfect no matter how you choose to eat them. 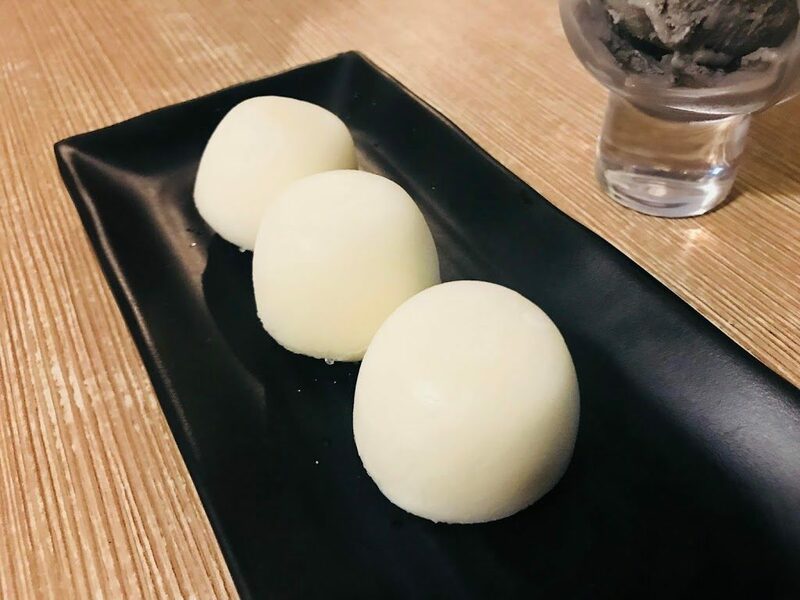 Mochi is one of the most iconic desserts of Japan, but this Mochi Ice Cream [$5] is a little disappointing. The mochi skin is not as soft as it should be but that’s probably what you can expect from a store-bought mochi. 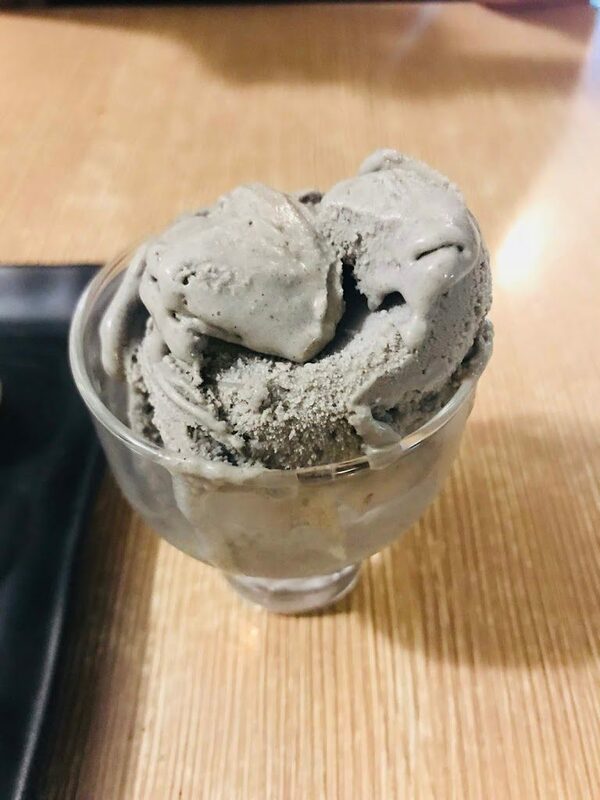 This Black Sesame Ice Cream [$4.50] on the other hand, is very bit as delicious as I hoped it would be. 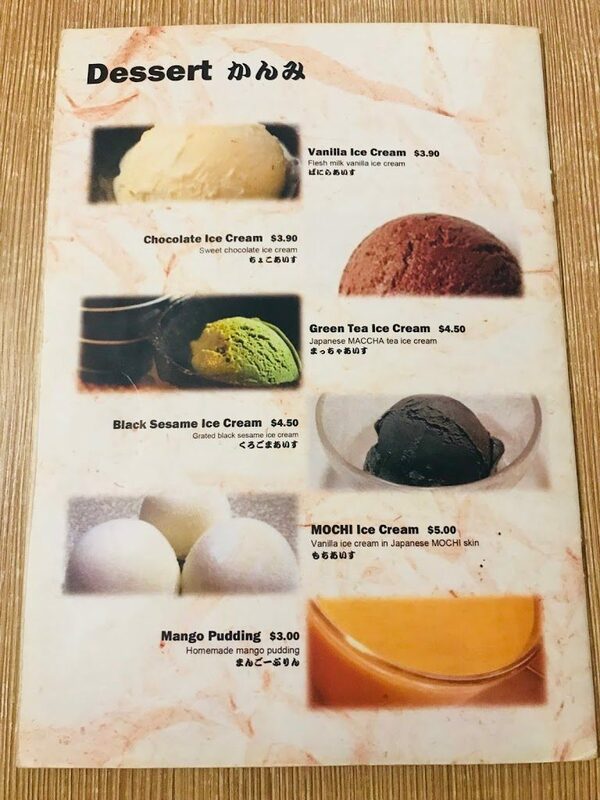 The sesame taste is not too strong and the ice-cream is smooth and silky. 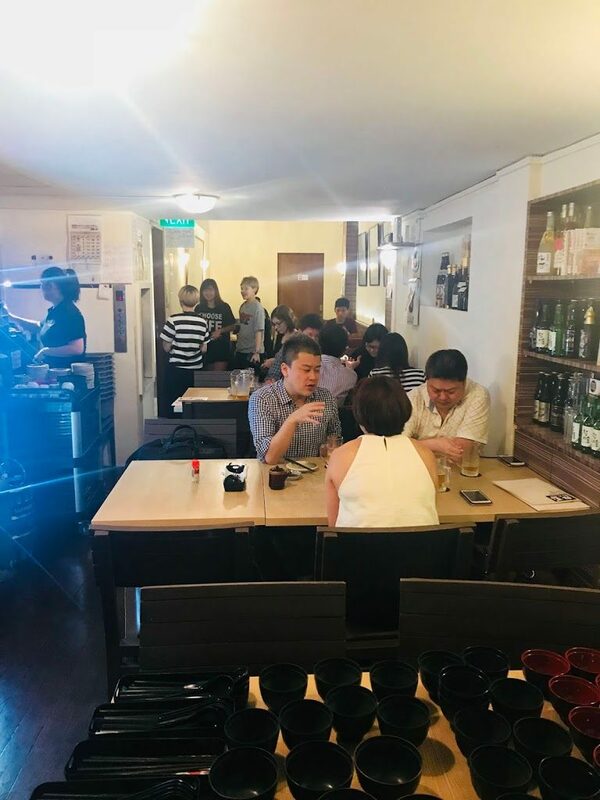 MIZ Japanese Restaurant is a hidden gem of a restaurant that I would gladly return to time and again to sample the various mouthwatering dishes. It is a bit of a walk from the nearest Outram Park MRT station but trust me when I say it’s worth it.